How do I know if I am eligible for the Pell grant? A student must complete the Free Application for Federal Student Aid (FAFSA) to determine eligibility. The Department of Education will provide a Student Aid Record (SAR) to the student indicating initial eligibility and forward an Institutional Record to the school(s) listed on the FAFSA. It is then the schools’ responsibility to contact the student letting them know if they have been selected for verification, if they are eligible, the amount of award available or if they are not eligible. How can I apply for the Pell grant or any other grants? 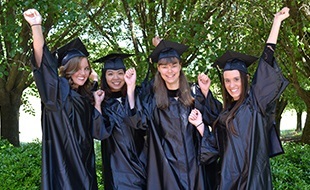 The Pell grant is a federal grant and can be applied for through the completion of the Free Application for Federal Student Aid (FAFSA) via the website: https://www.fafsa.ed.gov. Application is automatically made for NC state grants upon completion of the FAFSA. Other grants and scholarships are available at www.cfnc.org. 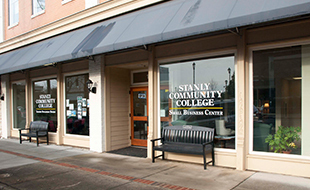 There are institutional scholarships available through a local application process on SCC’s website: www.stanly.edu. 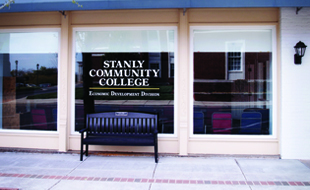 Please note that Stanly Community College currently does not participate in any Federal loan programs. What do I need to apply for the Pell Grant? Untaxed income, i.e. welfare, child support received, etc. *The FSA ID username and password is the student’s electronic signature and can be applied for via the www.fafsa.ed.gov website. Please note that if you are a dependent student, a FSA ID username and password is required for a parent as well. **You are considered a dependent student if you under the age of 24, are not married, are not providing more than ½ the support of a child or a dependent for the upcoming academic year, are not serving in active duty and are not a veteran. Please note that it does not matter if you are living on your own or have filed separate tax returns – these guidelines are fairly strict and can only be over-ridden in extreme circumstances, i.e. abuse, death of both parents, ward of the court, etc. Eforms allow students to submit required verification documents in a timely manner. Eforms do not have to be printed and are electronically submitted directly to SCC’s Financial Aid Office. Students must login to the form using their SCC username and password. The eform should be filled out completely and accurately to avoid delays in processing by using Internet Explorer or Firefox. Students will receive a message stating "Form saved successfully" upon submission. If you do not receive this message, please contact our office for help at 704-991-0302. How long does it take to find out if I am eligible? Generally, it takes the Department of Education two to three days to process an application if done via the web and up to two weeks if the application is mailed. Once the Department of Education processes the application, it is batched and put into the school's “mailbox” and then each school downloads the processed applications. Stanly Community College downloads the data several times a week; however during peak periods data is downloaded on a daily basis. How much Pell grant will I get? The Pell grant awards are dependent on the Estimated Family Contribution (EFC). The EFC is an amount that has been determined by the Department of Education, as a result of the information provided on the FAFSA, that a student can contribute toward his/her education. This does not mean the student has to pay this amount; however, the school uses this amount to determine a student’s award level. The awards are dependent on funding from the federal government and can range from $600.00 to over $6,000.00 per academic year. How many credit hours do I have to take to receive Pell? The Pell grant is pro-rated depending on the number of hours enrolled and eligibility of the classes. and less than half of the semester award or 25%, a student must be enrolled in 1 to 5 eligible hours. Eligible credit hours or classes are determined as being classes that are required to complete the active Program of Study on record. Classes may be counted as eligible if they are substituted for required classes. A substitution form must be completed and submitted to the Records/Registration Department. What happens if I do not have enough Pell to cover tuition and fees? Any remaining balance due after the Pell award has been posted to the students account is the student’s responsibility. The Business Office will send out a billing statement of the exact amount that is due and payable. What is the attendance policy for Financial Aid? Federal guidelines state that a school must have a process in place that determines that a student has begun “training” before any federal monies can be released into the students account. At this time, SCC’s attendance process is the assumption that all students have begun the classes and it is the instructors who let Financial Aid know if students have not attended through the use of WebAdvisor/Web Attendance. What if I fail a class – will financial aid cover it again? Classes that have been failed or dropped/withdrawn are Pell eligible when a student re-enrolls for the class providing they are required in the active Program of Study. Failing and/or withdrawing from a class impacts a student Satisfactory Academic Progress Standards. These standards are measured qualitatively, quantitatively, and maximum timeframe, i.e. cumulative GPA, cumulative attempted hours divided by cumulative completed hours and cumulative attempted hours cannot exceed 1.5 times the number of credit hours needed to complete active Program of Study. What if I have not decided my major yet? Can I be a Special Credit student and receive the Pell Grant? No. Students must be in a degree-seeking program which includes the Associates, Diploma and Certificate level. When can I get my textbooks? What if I want to buy my books elsewhere? What if I have used books from my friends? A student is able to “charge” books through our bookstore the week before the start of the term and the first week after the start of the term providing that they have completed the financial aid process, i.e. received a award letter or have awards showing in their Webadvisor account under Financial Aid. Students can buy books elsewhere, however, they would have to pay out of pocket and wait for any Pell refund to be compensated for the purchase. There is no financial aid penalty for students who do not purchase books at SCC as it is not a requirement that financial aid recipients get their books from our bookstore. What is a Pell refund? A Pell refund is the monies that are remaining after tuition, fees and any book charges have been deducted. Pell refunds are available on published disbursement dates provided that attendance has been verified and the enrollment is required in the current program of study. The disbursement dates are listed on the SCC website in the Financial Aid Calendar or are available via the Financial Aid and Business Offices. What types of financial aid are available for Occupation Education courses? Financial aid for Occupational Education courses is limited. The Pell Grant is only available to students who are in a degree-seeking program on at least a Certificate level. Targeted Assistance funds are for students that have need and are enrolled in High Demand, Low Enrollment programs. One other source of financial aid for Occupational Education is the Golden Leaf funds. The Golden Leaf funds have a specific need category that students must fall into and must be a resident of targeted counties to be eligible. There are also a few Occupational Education scholarships available with applications available in the Financial Aid Office. How many hours must a student carry to remain on their parents’ insurance? The Financial Aid Office considers 12 credit hours or more to be full-time; however, it is up to the individual insurance companies as to what they consider/accept to be full-time enrollment. Students are encouraged to check with their insurance company prior to registering. Do you handle Veteran Affairs? Yes, Stanly Community College is approved to certify Veteran educational benefits. Any students interested in using or transferring Veteran benefits are asked to contact the Financial Aid Office at 704-991-0302 or visit the Veteran Benefits webpage at www.stanly.edu - Future Students.